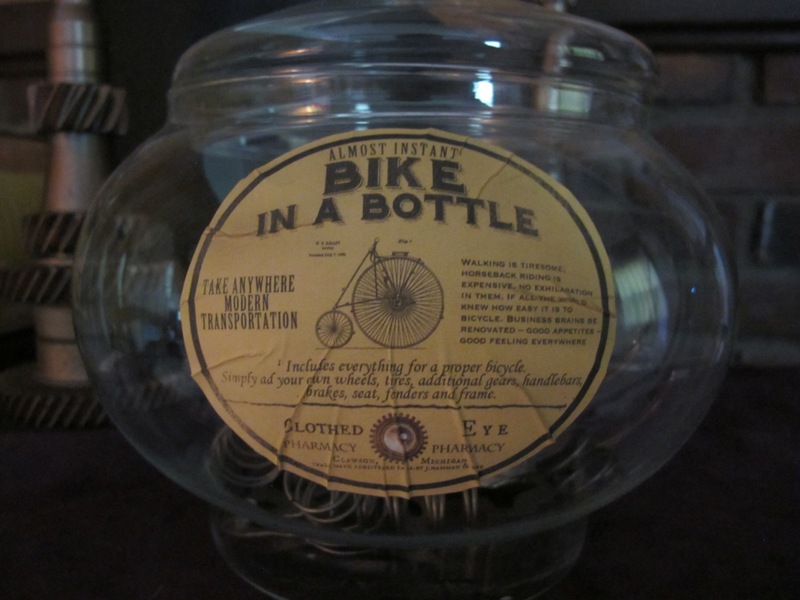 Almost Instant Bike in a Bottle apothecary jar from the Clothed Eye Pharmacy line. “Take anywhere modern transportation” this wonder piece comes with lots of gears and springs inside the bottle, just follow the simple instructions on the labels for your almost instant bike! Fat squat glass jar is approximately 8 inches tall and 7 inches around. Double sided ‘aged’ labels on the jar and will include 2 new unused sticker labels as well. Fun for your next steampunk event or dinner party!